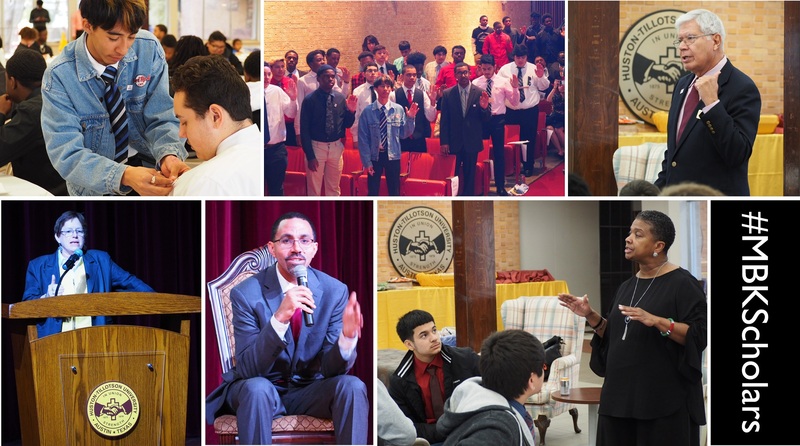 Austin Community College (ACC), Huston-Tillotson University (HTU), and E3 Alliance celebrated the more than 150 high school students who have committed to college with a pinning ceremony on December 12, at HTU. The ceremony is part of the Greater Austin Area My Brother’s Keeper (MBK) initiative, a program launched by the White House in 2014. It helps low-income, young men of color attend and graduate college. Nationwide, data show men of color are the least likely to persist in their education and achieve a college degree. The new MBK scholars are from Austin ISD’s LBJ and Crockett high schools, Elgin High School, and Pflugerville High School. Former U.S. Secretary of Education John E. King Jr. will serve as guest speaker at the pinning ceremony. As part of the program, scholars will receive individualized guidance and support applying for college and preparing for post-secondary success. MBK is one of dozens community programs supported by ACC’s Office of Student Services. For more information, contact Dr. Richard Armenta, Student Services associate vice president and dean at rarmenta@austincc.edu.